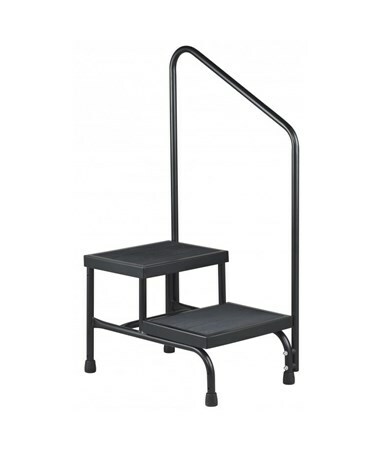 The Two-Step Step Stool has a generous weight capacity of 600 lbs (252 kg), making it ideal for any hospital, clinic, or medical facility. It features a non-slip tread for added safety. 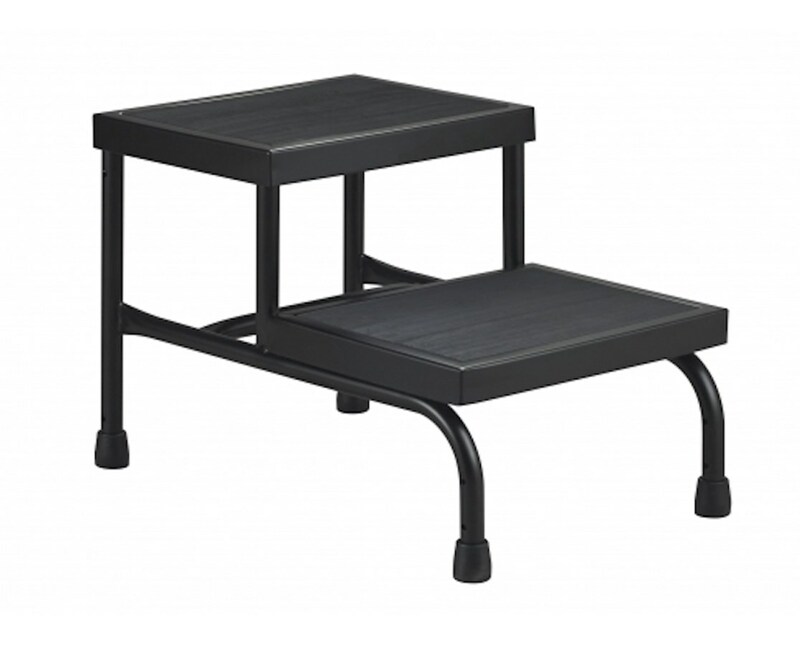 It offers extra wide, deep steps with rubber feet, all designed for greater stability for the user. It comes in a black powder coated finish. 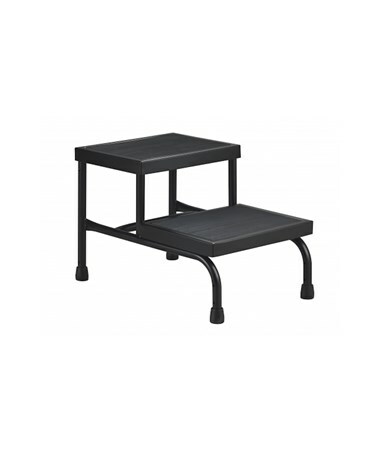 All Brewer Step Stools comes with a 5 year warranty. 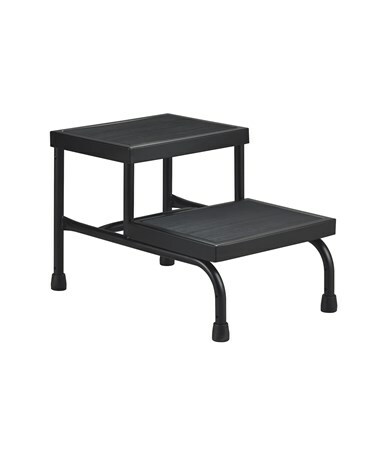 The Step stool can be bought with or without hand rails. Selection available at the top of the page.